Buy one ticket and get three days of activities! Friday - Sunday! Each year we assemble a wide variety of field trips with leaders who are experts in their field and who are able to make it understandable and interesting for everyone from inquisitive amateurs to accomplished naturalists. There is something for the entire family with field trips Saturday and Sunday, an expert speaker Friday Night, and nighttime programs at the campground. Topics include salamanders, birding, stream ecology, bear safety, fly fishing, cultural history, edible/medicinal plants, general natural history, and much, much more! Our Friday Night Dinners feature a lovingly-prepared menu of locally-sourced ingredients, complete with dessert! Please join us for this great meal to catch up with old friends and register for your favorite field trips before they fill up! The spring menu will be announced soon. Dinner is by pre-paid reservation ONLY. There will be no dinners sold at the door. Registration is due by May 3rd. Support BRDC’s Annual Scholarship Fund!! Door Prizes will be drawn during Saturday Lunch at 12:45PM. Must be present to win. Framed original artwork . . . and more! Join us Friday, May 10th at 7:00PM for a presentation by a special guest speaker, Lara Call Gastinger. Lara Call Gastinger is a botanical artist and illustrator in Charlottesville, Virginia. She was the chief illustrator for the Flora of Virginia Project after she received her master’s degree from Virginia Tech in Plant Ecology. She has been awarded two gold medals (2018, 2007) at the Royal Horticultural Society garden show in London and her work has been in several ASBA traveling exhibits and the Hunt Institute for Botanical Documentation. Her work can be followed at: www.instagram.com/laragastinger or viewed on her website at: laracallgastinger.com. The subjects of her art come from the natural world and reveal detailed evidence of change, decay, and processes that occur in nature. She strives to make a plant portrait in such a way that it reveals its character and uniqueness. Her focus is on the small details in nature, down to the small venations in leaves, which hopefully inspires others to look deeper and pause a bit longer. This May, attendees of the Spring Mount Rogers Naturalist Rally will have a chance to meet Lara during her presentation, Documenting Nature as a Botanical Artist. Join Lara as she details her experiences as a botanical artist, illustrator, and documenter of nature. She will talk about her work in the Flora of Virginia, her perpetual journals, and detailed botanical watercolors. After her talk, you will be inspired to look more closely at nature, to be curious, and to start your own journal. Rock out with Elaine Jacobs Saturday morning and discover salamanders with Lily Kingsolver Saturday afternoon! Geology Rocks! Unearth the rocks of the Mt. Rogers Volcanic Center with Elaine Jacobs, retired geologist. Salamanders! Crawl into the world of salamanders with Lily Kingsolver, Interpretive Ranger at Hungry Mother State Park. Come out and discover one of Appalachia's most mysterious and amazing residents: the salamander! Learn about these unique amphibians and what makes them so important to our area before venturing outside to search for and identify salamanders in the wild. Finish up the afternoon by making a salamander of your own to take home. Field trips depart at 8:00AM on Saturday Morning from the Konnarock Community Center. Click below for descriptions of field trips. All-Day Hike to Mt. 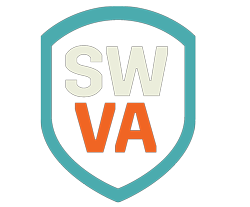 Rogers: Phil Shelton, Emeritus Professor of Biology at UVA College at Wise, and Richard Davis will lead this nine-mile round-trip hike to Virginia’s highest point. Natural history, including geology, climate, plants, animals, and cultural history will be discussed. Sturdy shoes, dress for high altitude weather, food, and water are necessary. Appalachian Cove Forest: An Exploration of "Diversity" What is Diversity? And How can we Measure it? Assessing diversity and understanding change through time will be a primary themes as participants become scientists for a day and join naturalist and archaeologist, Devin Floyd, for a half day biological survey. Participants will travel through time with stories covering a wide array of subjects, from reading geology to reading tree rings, from salamanders to megafauna. We will be build on the Spring and Summer Surveys of 2016-2018 to add to the natural history story of this forest. 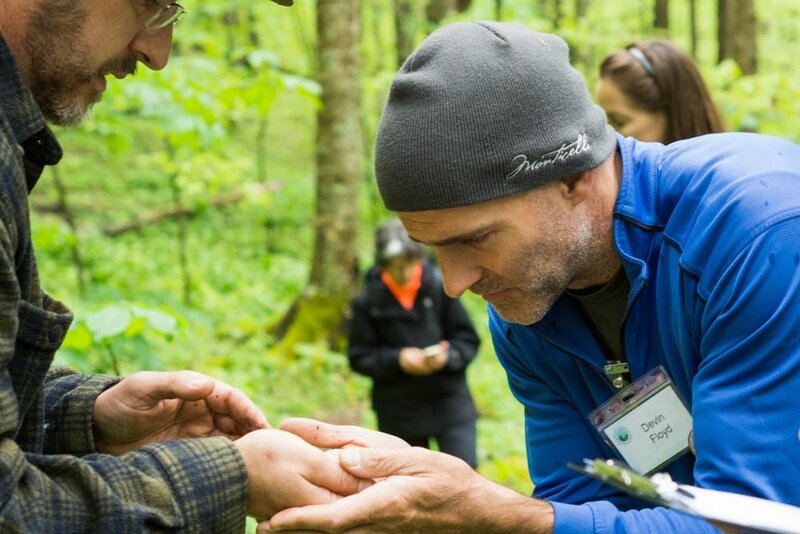 In addition to learning the plant and animal species present, participants will help gather diversity data, collect samples to determine forest age, and learn how/why ecosystems receive names. Beginner Birding: Dr. Ashley Peele (Avian Ecologist with VA Tech) and Dr. Steven Hopp (Professor of Environmental Studies at Emory and Henry College) will lead a beginner bird-watching program, focusing on sight and sound identification of resident and migrant birds in the Mt Rogers area. Bring binoculars and field guides. This is peak migration season, so expect a good morning! Limited to 20 participants. Birding: Allen Boynton, Retired Wildlife Diversity Program Coordinator with the NCWRC (and BRDC), will conduct bird watching at Grindstone and Homestead Road section of Fairwood Valley. Notable birds expected: least flycatcher, rose-breasted grosbeak, veery, wood thrush, and a variety of wood warblers and vireos. Edible and Medicinal Plants: Wild forager Carrie Sparks will introduce you to the world of foraging for wild foods and medicine with a focus on the plants we most commonly think of as weeds. Fly Tying: Ernie Barker, Mountain Empire Chapter of Trout Unlimited, will conduct a basic fly tying course in the community center. There is an additional $5 fee for this session to cover the cost of materials. Hiking & Camping with Black Bears: Join Jay Martin (BRDC) and Brittany Phillips (Mount Rogers National Recreation Area’s Wildlife Biologist) on a hike while discussing black bear biology and how to safely enjoy bear country. The group will be on the lookout for black bear sign and will cover topics of how to appropriately respond to different black bear encounters and how to properly store food while camping. High Elevation Plants of the Blue Ridge: Discover the high elevation plants of Grayson Highlands State Park - including one of the rarest plants in North America - with Jordon Blevins, Resource Specialist for SWVA Region State Parks. MRATC Hike: If you want to add a nice walk to your nature study, join the Mt. Rogers Appalachian Trail Club on an easy 2.5 mile hike from Whitetop to Elk Garden. Explore natural history and trail tales on one of the most beautiful trail sections in our area. Salamander Hike: Kevin Hamed, Professor of Biology, Virginia Highlands Community College. Explore the incredible salamander diversity of Whitetop Mountain. Whitetop Mountain is home to 15 plethodontid salamanders and we will have a chance to view several species. Hike begins at Elk Garden Trail and will survey 2 different habitats. Stream Ecology: Join Caitlin Carey to study stream ecology in Big Laurel Creek. Field trips depart at 1:00PM from the Konnarock Community Center. Birding the Balds: Dr. Ashley Peele (VA Tech) and Dr. Steven Hopp (Emory and Henry College) will lead a program focusing on the birds of the high-elevation grassy balds. We will start with brief walks and discuss the ecology of the Elk Garden and Whitetop Balds, then we will settle into lawn chairs, and focus on soaring Ravens, Hawks, and other open-country birds. Bring lawn chairs and binoculars (and snacks!). Some binoculars will be available. Drawing from Life: Join Devin Floyd for a morning of outdoor sketching and illustration. Art is one of the primary tools used for documenting and sharing what is found during scientific inquiry. Participants will learn how the skills of observation and illustration are used to communicate discoveries made during a biological survey. This guided class will generate a composite of sketches for a unique Appalachian Ecosystem. Sketchbooks and camp stools will be provided, or you may bring your own. Entomology: Explore the world of spiders, insects, millipedes and other creepy crawlers. Shawn Kurtzman, CMI staff entomologist, will lead an invertebrate walk through several different habitats to identify insects and other arthropods in the Elk Garden area. Good footwear and a willingness to collect and handle insects is a must. Children 6 & up welcome with an adult. Limited to 20 participants. Fairwood Valley Cultural History: On this exciting trip with Tom Blevins, USFS, we’ll step back in time to discover the cultural history of the “heart” of the MRNRA and how it is linked to the natural environment we share today. We’ll stroll through a ghost town that was once a booming community and learn how to interpret the landscape as we travel the scenic Fairwood Valley. With an ironic twist, the cutting of vast tracts of virgin forest resulted in the creation of a publicly owned natural wonderland that will remain for future generations to enjoy. Come and hear a tale . . . Fly Casting: Learn to cast two types of fly rods. First, a traditional fly rod using various casting techniques and then a Japanese-style Tenkara rod for small mountain streams. This is a beginner-level, dry-land course in preparation for Sunday Morning Fly Fishing. Geology (From Billion-year-old Rocks to the Evidence of a Proto-Atlantic Ocean: A Geology Excursion): Join USGS Geologist Arthur Merschat for this field trip conducted primarily by vehicle to look at billion-year-old gneiss and eastern Blue Ridge mica schist, amphibolite, and ultramafic rocks. We will talk about the geologic and tectonic history of the Blue Ridge. Knifecraft: Join Joe Flowers, knife designer and guide, in utilizing safe knife carving techniques to make different tools and traps for the outdoors. We will also discuss care of your outdoor tools as well as making useful things out of your recycling. Mammals of Mount Rogers: Karen Powers, PhD, Radford University, will check several hundred pre-set live traps in the woods near the community center and on Mount Rogers Trail in hopes of examining a sample of the small mammal diversity of the MRNRA. Natural History of Whitetop: Austin Thomas, Forestry PhD student at North Carolina State University studying the ecology and conservation genetics of Eastern Hemlock and Fraser Fir in the Southern Appalachians, takes us on an ecological history of Whitetop Mountain. Trail Building Service Project: Assist Luke Benish, Senior from Grayson County and a Life Scout with Troop 5, complete his Eagle Scout Project to earn this highest rank in scouting. He will be leading a project that entails building a trail for the future use of BRDC and their programs. Wildflower Walk: Join Nancy Adamson on a wildflower jaunt in Grindstone Campground. Expect an abundance of blooms. Bring a hand lens and a camera. Field trips depart at 8:00AM on Sunday Morning from the Grindstone Campground parking lot. Birding: Allen Boynton, retired Wildlife Diversity Program Coordinator with the NCWRC (and BRDC), will conduct bird watching at Grindstone Campground. Fly Fishing: Participants with knowledge of basic fly fishing techniques are invited to join avid fisherwoman Lisa Benish (BRDC Program Director) for fly fishing in Whitetop-Laurel Creek (Freshwater Fishing License, Trout Fishing License, and National Forest Permit required). All equipment will be provided including waders, fly rods, and flies. Time Travel: Native American Lifeways Take a journey through time using the wild and varied ecosystems of the highlands to visit different cultural periods, from the frigid Pleistocene Epoch to the first European Contact. 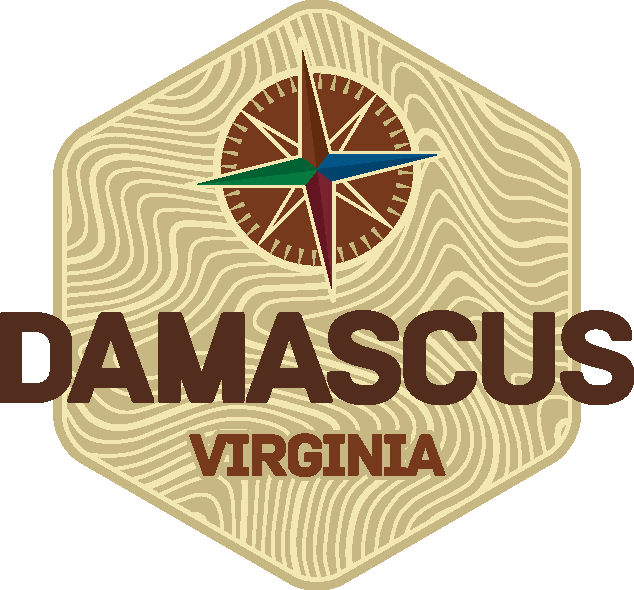 A moderate hike will be augmented by activities and topics such flintknapping, plant identification, landscape reading (through the eyes of Paleo-ecology and Archaeology), Megafauna extinction, effects of climate change, and the Native American tool-making resources of the Mount Rogers Area. Trail Building Service Project: Help Luke Benish wrap up his Eagle Scout Project that begins Saturday afternoon. Attend one or both sessions. Sunday Afternoon Storytelling: True stories from the peaks to the creeks of Mt. Rogers High Country. 2:00-4:00 PM at the log-built Laurel Valley Community Church on VA-603, 3 miles west of Grindstone Campground. Food available for purchase. Join us Friday and Saturday night for explorations under the stars. Click below for descriptions of nighttime activities. Friday Salamander Meander: Take a walk through the woods with BRDC staff in search of salamanders feeding at night. Meet at the Grindstone Campground parking lot. Friday Star Gazing: Join BRDC astronomer Evan Worrell for an exploration of the stars. Study visible planets through the telescope and learn about the depths of the universe through Evan’s knowledge of constellations. Departs from the Konnarock Community Center. Saturday Astrophotography: Join Jay Martin, BRDC Research Director, to learn the basics of night sky photography. Bring along your DSLR or mirrorless camera and a tripod to photograph the Milky Way and other celestial objects. We will discuss proper camera settings to best capture images with your camera and lens combinations. Saturday Star Gazing: Join BRDC astronomer Evan Worrell for an exploration of the stars. Study visible planets through the telescope and learn about the depths of the universe through Evan’s knowledge of constellations. Departs from Grindstone Campground parking lot. Join us at Grindstone Campground! Mount Rogers Naturalist Rally guides and volunteers will be camping in the Grindstone Campground on Friday and Saturday night. Come pitch a tent but remember to reserve your spot online. Although the focus is on Grindstone Campground, there are a number of other options available in the area including overnight lodging in "Downtown Konnarock" through Airbnb. Beartree Campground is also located within 10 miles of Konnarock. Other local options include Bed & Breakfasts, Inns and rental cabins. Try www.virginiablueridge.org for more lodging information. The Konnarock Community Center (Address: 6535 Whitetop Rd, Troutdale, VA 24378) From I-81, take exit 35 (Chilhowie), go south on RT 762, passing Hardee’s. Follow this for 3.6 miles to the flashing light at intersection. Keeping straight the road becomes RT 600, crossing Iron Mountain (disregard “Old 600″ signs) and in 7.6 miles turn left at intersection, staying on RT 600. From here, go 2/10 miles and the Konnarock community center is on the left. Grindstone Campground (GPS: 36.68694, -81.54111) From I-81, take exit 35 (Chilhowie), go south on RT 762, passing Hardee’s. Follow this for 3.6 miles to the flashing light at intersection. Keeping straight, the road becomes RT 600, crossing Iron Mountain (disregard “Old 600″ signs) and in 7.4 miles turn left on to Laurel Valley Road. Travel 4.3 miles and the campground entrance will be on your right. 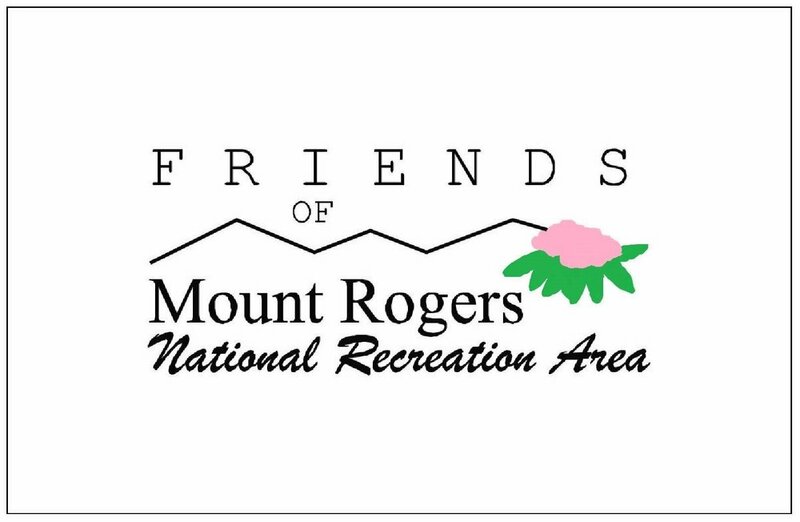 The Mount Rogers Naturalist Rally is a grand tradition that dates back to 1974. Over the years it has gone through many changes but the root goal has stayed the same: to connect our community to one of the most spectacular landscapes on Earth. If you would like to see this tradition continue for the next generation, please consider making a donation to support the Rally. All of our field trip leaders volunteer their time for the Naturalist Rally, so let them know you appreciate them sharing their time and knowledge with us!! Ticket price includes Friday Night Program, Saturday Field Trips, Saturday Night Program and Sunday Program. Members, Guides, and persons 17 years or younger are FREE! BUY NOW Only a few classic Mount Rogers Naturalist Rally T-shirts remain! The Mount Rogers Naturalist Rally has adopted the Leave No Trace Principles as a guiding reference for participant and guide etiquette. Please refer to their 7 Principles for more information. The Mount Rogers Naturalist Rally has a long history, all the way back to 1974! Check out these historical brochures!